A-HOTEL.com - Luxury and cheap accommodation in Kallaste, Estonia. 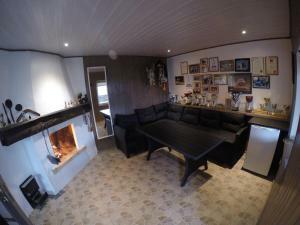 Prices and hotel, apartment booking in Kallaste and surrounding. Offering an a la carte restaurant, Luscher & Matiesen Muhu Winehouse is located in Liiva and is Estonia's 1st wine tourism farm, 7 minute walk away from a rocky beach. Free WiFi access is available. Tihuse Horsefarm B&B offers different horse-riding activities. Located on the island of Muhu, the property is 40 km from the Matsalu National Park. Set on the Muhu Island, Tõnise Majatalo features a restaurant, bar and a garden. Guests can relax in the sauna and enjoy a massage. Offering a barbecue and a private beach area, Lalli Tooma Farm Stay is situated in Lalli. Free private parking is available on site. Located in Kuivastu, Kuivastujaani features accommodation with free WiFi. Providing a terrace, specific units are air conditioned and include a dining area and a seating area with a flat-screen TV. Situated in Pädaste in the Saaremaa region, Private Farm House at Pädaste Manor has a terrace and sea views. Guests staying at this villa have access to a balcony. Vanatoa Tourism Farm, one of the oldest in the village, is situated among junipers in Koguva on the Muhu Island. 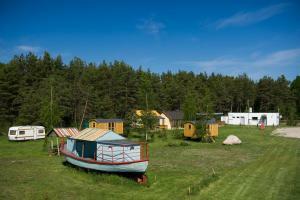 It offers accommodation in a countryside style with free Wi-Fi and a sauna. Located in Koguva, Käspri Farmstay provides accommodation with access to a garden. Free WiFi is available. Lõunaranna Harbour Accommodation is located in Simisti and offer simple accommodation surrounded by nature. Free Wi-Fi access is available in this camping. Student Hostel is located in Orissaare, 150 metres from the Baltic Sea. Free Wi-Fi access is available. Offering a garden and free WiFi, Haikaranpesä Rölli Puhkemaja offers accommodation in Orissaare. Each unit is equipped with a toaster, fridge, a coffee machine, as well as a stovetop and kettle. Offering free WiFi and garden views, Haikaranpesä Farm Stay is an accommodation located in Orissaare. This farm stay offers a garden, a terrace, as well as a shared lounge. Hostel Pritsukas is offering accommodation in Orissaare. Featuring a shared lounge, this property also provides guests with a terrace. Võidu Homestay is located in Orissaare, 600 metres from the pier on Vaike Vain Strait. Free WiFi access is available in this homestay. Offering a restaurant offering regional dishes made from local products including freshly caught fish, Puise Nina Guest House is located in a green, quiet area by Matsalu Bay in Läänemaa. Free WiFi access is available. Located on Saaremaa, the largest Estonian island, Haikaranpesä Guest House offers accommodation in quiet and picturesque surroundings. The nearest cafés and food shops are just 300 metres away. Set in Kuivastu, Viirelaid Private Island has a private beach area, a spa and wellness centre and barbecue facilities. The property features a garden, as well as a terrace. Maasi Puhkemaja is a detached holiday home is located in Orissaare and is 48 km from Kuressaare. Guests benefit from a balcony and a private sauna.